Today we’ll be discussing advanced mobile features for our users, and how they can take notes about their showings on location! For those of you new to Leap’s mobile world, please check out one of our earlier blogs about getting our mobile app here before going on. Helpful tip: We highly recommend that BlackBerry users install the “Opera” browser. The reason we recommend this is because BlackBerry’s own web browser can be rather sluggish and ornery when dealing with certain websites. You can find the website here and the mobile site here. 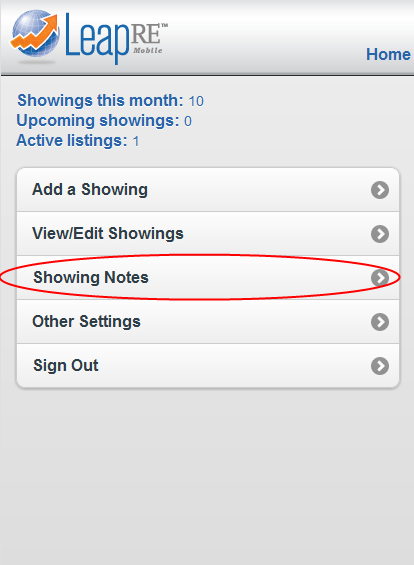 You will be able to choose which kinds of showings you are interested in entering notes for: past, recent and upcoming, and ones with or without notes. Once notes are entered, emails are sent and notes saved. You will later be able to find these notes in the feedback reports separated by each individual appointment entry. This can come in handy when sellers ask about specific buyer-interest months down the road, which you will now be able to show them because of the notes you have taken. Well here’s something fun for all of us: spelling! Being an agent is all about presentation and proving that you are the best for the job. Part of doing both of these things well involves communicating professionally and copy writing. So, what we decided to do was to analyze how well agents do this in their first, most direct form of marketing – MLS listing descriptions. To do this, we took the first 280 listings from Leap Day and scanned them with our German-schoolteacher-with-ruler-in-hand brand of expectation for precision. Our grading criteria included spelling errors, gratuitous abbreviations when space was not limited and tacky punctuation. Now, before anyone gets all wound up, we are aware of the character limit, so many abbreviations were permitted. Grammar and punctuation usage were mostly overlooked to save time. Of the 280 entries, 53 did not pass our test. That’s an F for nearly 20% of the listings. Just a friendly reminder to the agent community to double-check work and maybe use a spell-checker when preparing marketing materials for listings. Leap users can now easily send text messages to their sellers for showing notifications. Before we start, let us provide you with a quick run through about the difference between SMS and MMS text-messaging. An SMS gateway (Short Message Services) can transmit plain text messages only. Images, audio, and other media will not show up in this form of messaging. An MMS gateway (Multimedia Messaging Services) can transmit multimedia text messages, i.e. photos and audio, in addition to text. What, you may ask, is the advantage of one over the other? In the case of SMS, many service providers limit the message size to 160 characters, meaning a text that is larger will be broken up into multiple pieces. MMS does not suffer the same issue, and will be transmitted and displayed as one text. Additionally, MMS text messages can include specific details to the recipient about who the text is from, from what email address it came, etc. Thus, we recommend that you choose the MMS over the SMS address. a. 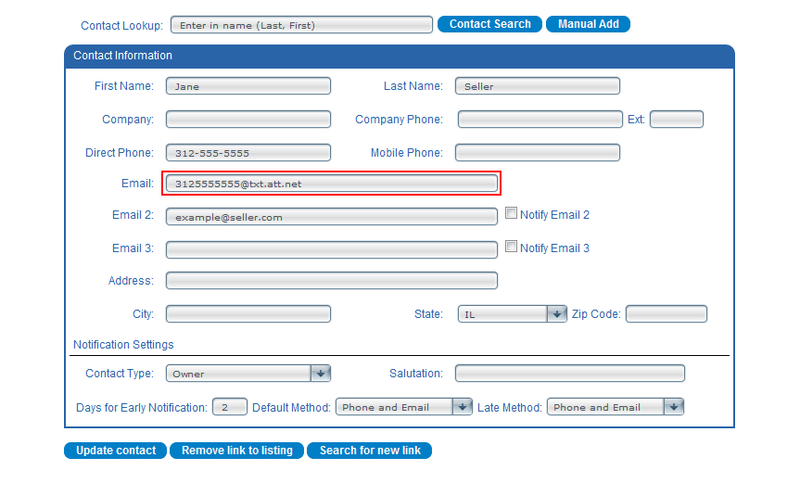 Determine the 10-digit phone number of your seller. b. Determine service provider (This can be most easily done by asking your seller). iii. Followed by the service provider URL (A list of the URL’s of most service providers can be found here: http://en.wikipedia.org/wiki/List_of_SMS_gateways). b. Select the desired property. c. Click “Edit Contacts” and, either search for the owner’s name and click “Contact Search” or, if this is a new seller, select “Manual Add”. NOTE: You may want to change your default seller showing notification message to handle the shorter character availability of SMS. You can do this through “Scheduling” -> “Emails” -> from the drop down Seller notification email. Though we’ve been a bit absent lately, we wanted to make sure we stopped by and dropped off some end-of-year data insights to the blog. We’ve been focusing our attention in other areas and have found it increasingly hard to make time to crunch numbers like we used to. That said, here’s some nice food for thought on the Chicago market over the past year. The good news off the bat is that absorption rates are almost universally better as 2011 winds down than they were in 2010. Kudos to the savvy agents and hungry buyers out there. Whats more interesting though, is that transaction volume is on par with last year’s numbers, despite there being an decrease in the amount of listings practically across the board. This could be a positive sign that sellers are not willing to sell at the current price and more sellers are staying on the sideline waiting for pricing rebounds. This signals a potential shift the pricing momentum, and bodes well for 2012 upcoming. The role of shadow inventory remains to be seen, but only time will tell. Click the link for our full aggregation of closed and active listings by county and property type. Here’s new data we pulled for this week’s Chicago Agent Magazine issue, published on Monday. The issue includes various articles discussing new builds and construction in the city. We took a look at new properties built in the past few years and how fast their inventory was moving by neighborhood. Only neighborhoods with at least 10 recorded closings during the previous twelve-month period and 10 active listings were rated. You can see that Edgewater, West Town, and North Center all top the list, indicating the hottest and most frequent acquisitions of recently built homes. 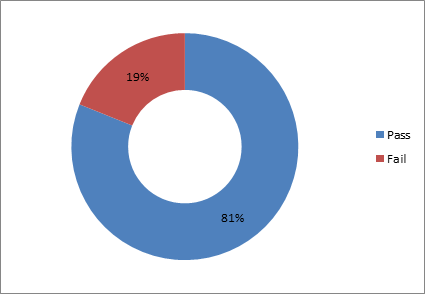 The bottom part of the list particularly suffered in the numbers due to the inclusion of 2007 statistics. 2007 of course was the last year the market saw upswings in new construction, and the Near South Side was one neighborhood in which numerous properties were created but went unsold in the subsequent market crash. Showing Volume for Chicagoland during the month of August: Market showing activity is following in line with historical trends over the past few years. Late summer showings were up throughout August, and typically showings drag downward toward the end of the year. 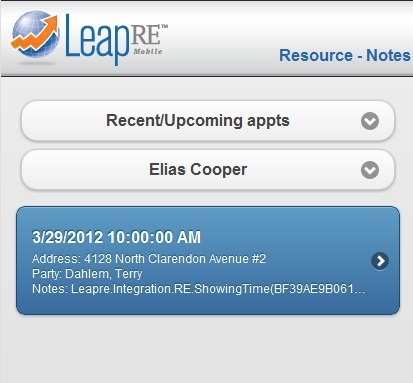 Remember that this information is available daily in the Leap Scheduling System but is posted to the blog monthly.